Lavender Cottage is one of three attached cottages that can be booked singly or as a unit. 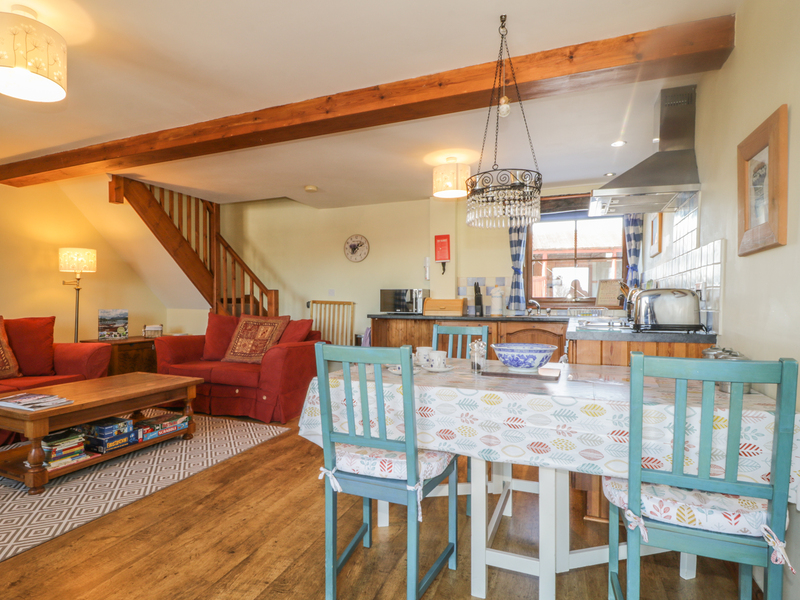 Lavender Cottage sits at one end of the row and has been converted to a very high standard, offering a lovely light and bright open plan living area downstairs with a fully fitted kitchen plus a double and single bedroom upstairs and a family bathroom. Outside there's a patio seating area to take in the fantastic views and the use of an enclosed paddock with picnic tables, which is ideal for children. There's private parking, and shared use of the BBQ and well equipped laundry room. There are two pubs within a mile of the property and the lively town of Penrith is just a 10 minute drive. 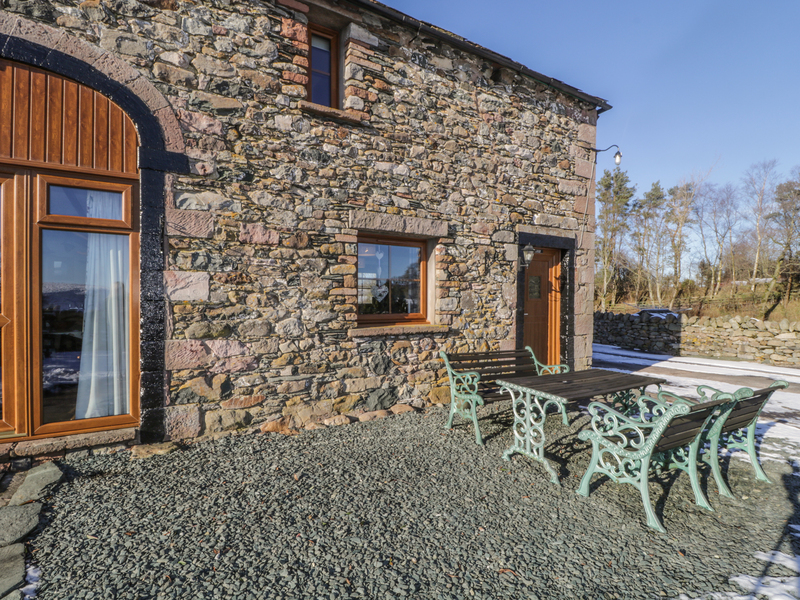 Lavender Cottage is the ideal jumping off point for an exploration of the glorious North Lakes at any time of year. Two bedrooms: 1 x double, 1 x single. Family bathroom with shower over bath, basin, WC. Open plan living/dining/kitchen. Oil central heating. Electric oven and hob, fridge/freezer, microwave, TV, DVD, WiFi. Laundry room with washer, dryer and space to dry clothes. Oil and electricity included, bed linen and towels provided. Cot available. Off-road parking. Patio with furniture, enclosed paddock with picnic tables, shared BBQ. Sorry, no pets and no smoking. Pubs 1 mile. Biking and hiking trails within 100m. Penrith, 10 minute drive.